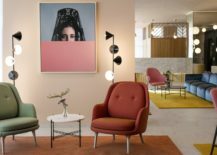 Jaime Hayon has created an eccentric, exciting and exotic interior for the Barceló Hotel Group’s new landmark Madrid hotel. 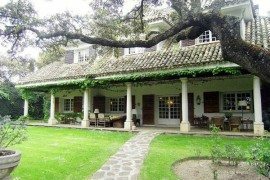 Pedro Almodóvar, the renowned Spanish film-maker, screenwriter and producer, is known for his dramatic and emotional, vibrant and vivid, self-indulgent and showy, characters, stage sets and backdrops. 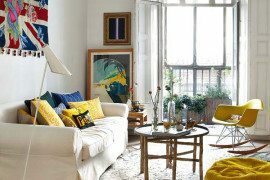 Fans of Almodóvar will know that his films often feature street scenes from the Spanish capital Madrid. 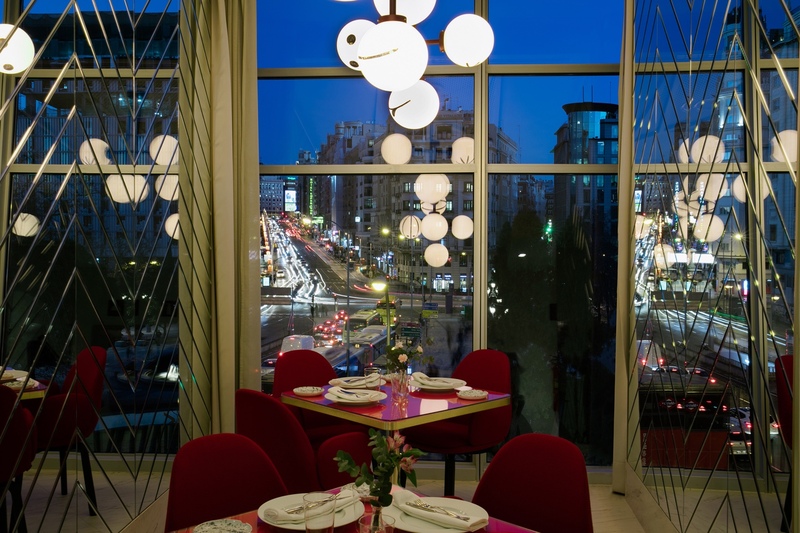 Indeed Almodóvar is synonymous with Madrid, the city acting as one of his many colourful characters. 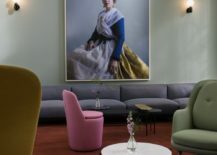 In Madrid—as in many of Almodóvar’s films—there is the creative juxtaposition of a dark underbelly with the Madrileño avant-garde. The city is a melting pot of cultures, with a heady mix of the tawdry and the tasteful, and everything in-between. 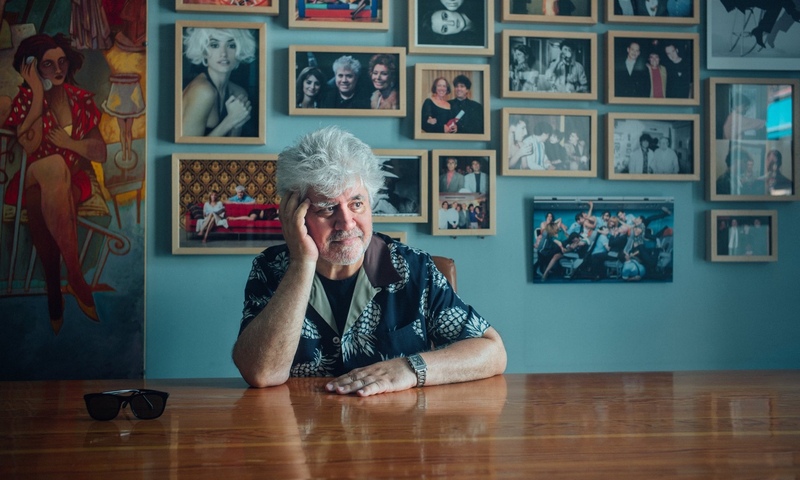 Pedro Almodóvar. Photo by James Rajotte via The Guardian. 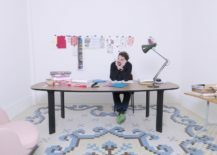 Jaime Hayon, the celebrated Spanish artist-designer, is known for his love of craft and its conservation, his caricatures and creative vision, his absolute brilliance and magnetic dynamism. 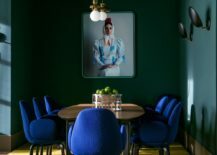 A native Madrileño, Hayon is the design world’s Pedro Almodóvar, his work a veritable explosion of colour and drama, of the gaudy and refined. 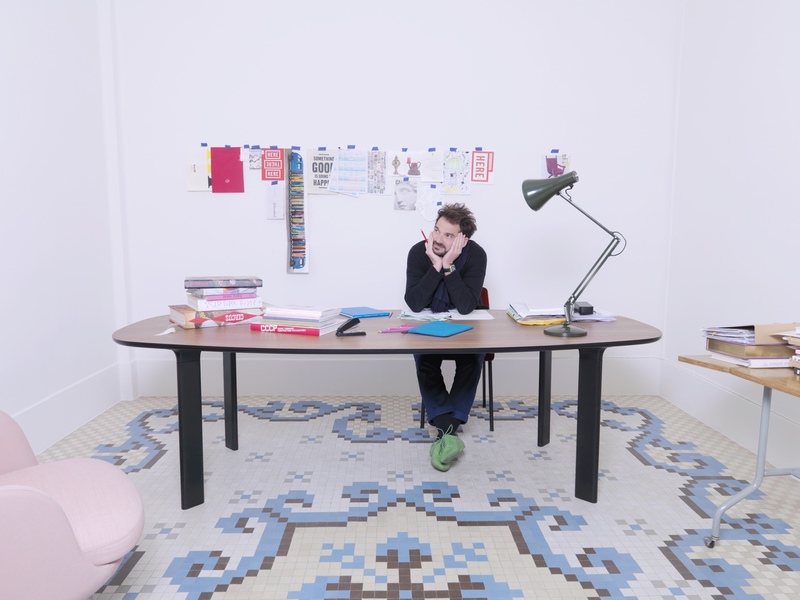 Jaime Hayon. Photo © Republic of Fritz Hansen. 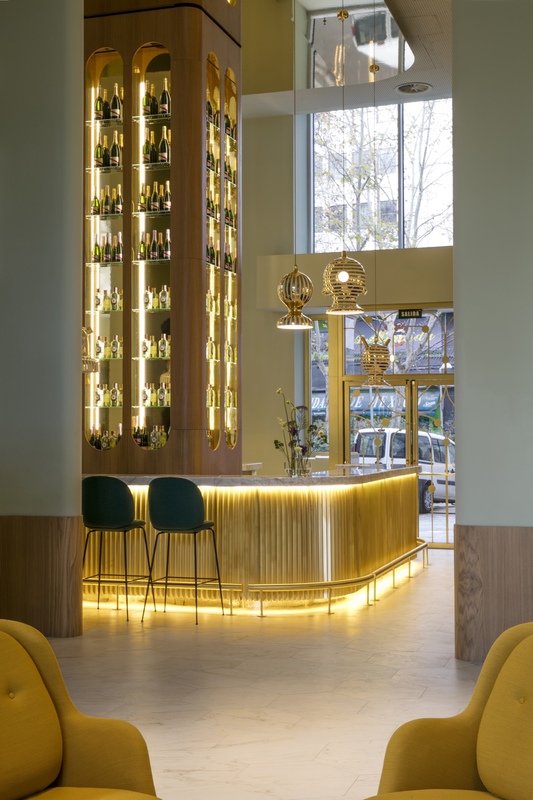 In a recent project, Hayon stamped his idiosyncratic personality and style on the new Hotel Barceló Torre De Madrid. Constructed in 1957, the 142 metre Torre de Madrid (Tower of Madrid) is one of the city’s tallest buildings and an architectural icon. If Pedro Almodóvar ever requires a Madrid hotel for a scene in a future film, then Hayon’s design for the Hotel Barceló Torre De Madrid would doubtless fit the bill. 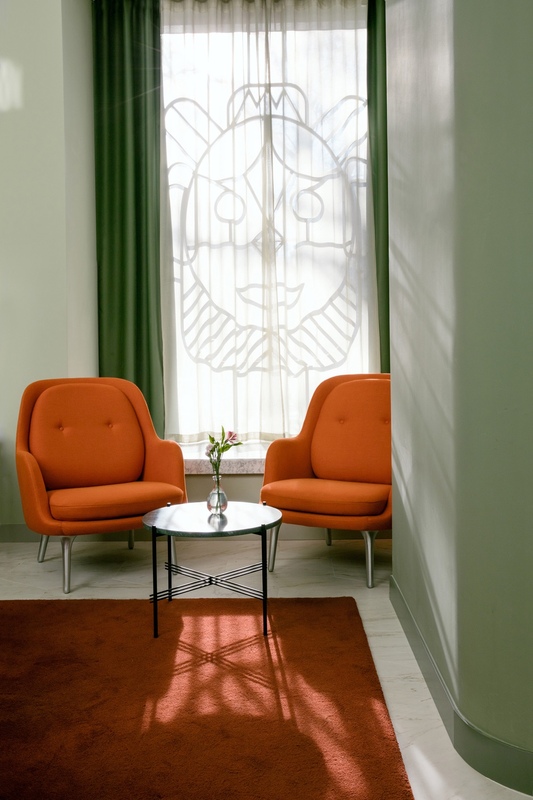 The lobby seating area includes the Ro armchair, designed by Hayon for Fritz Hansen; the Face sculpture and structural lights are special designs by Hayon. 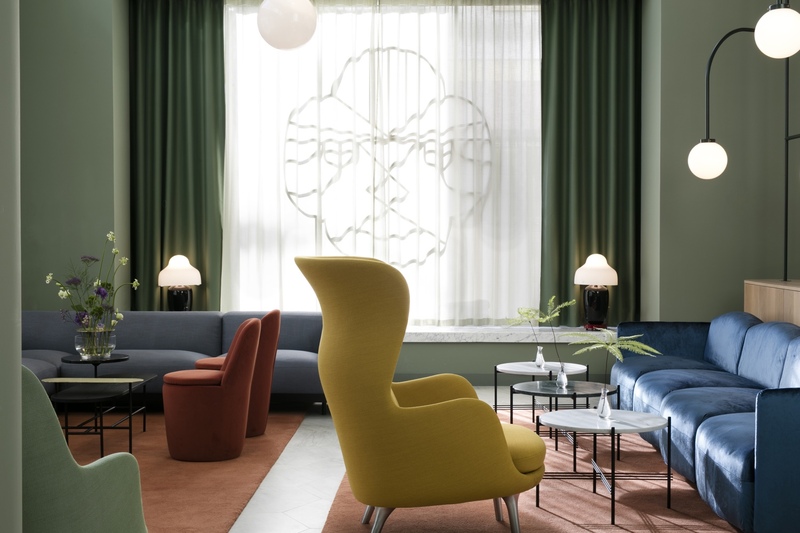 Here, the lobby seating area includes the Ro and Fri armchairs by Hayon for Fritz Hansen. 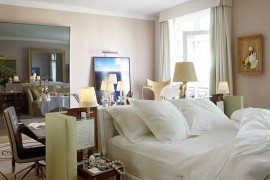 The portrait is by Klunderbie, specially for the hotel. In this nook, the lobby features the Fri armchair by Hayon for Fritz Hansen and a specially designed Face sculpture by Hayon. 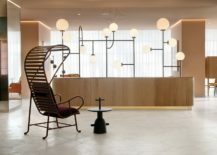 The Garra lobby bar includes ceramic hanging lights, specially designed by Hayon. 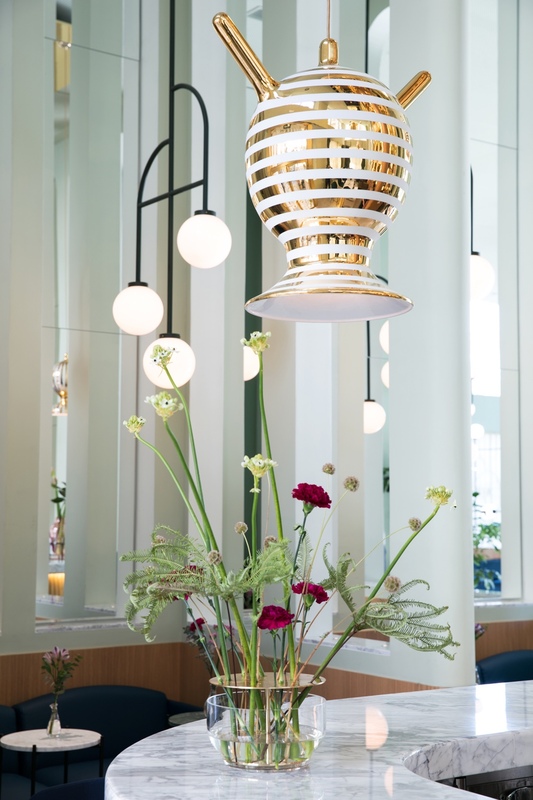 The Garra lobby bar’s custom-made ceramic lamps and structural lamps were designed by Hayon. 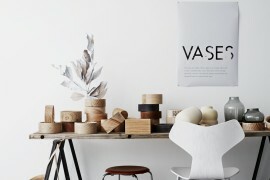 The Ikebana vase was designed by Hayon for Fritz Hansen. Relating his vision for the Hotel Barceló Torre De Madrid, Jaime Hayon explained: ‘I was fully dedicated to the creation of a very special and unique space that would represent a new vision of Spain, a vision far from the traditional aesthetic.’ The hotel’s interior is described as ‘a visual journey through Spain’s past’, incorporating architectural details that bring to mind Roman arches, and sumptuous tones and finishes that invite comparison with Spain’s Arabic and Moorish influences. 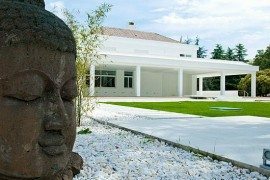 Hayon cleverly unites historic grandeur with a modern approach and his playful style. 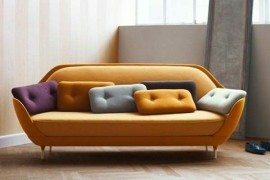 Fittingly—and unsurprisingly—he incorporates many of his own furnishings, light fittings and objets d’art, representing design collaborations with Republic of Fritz Hansen, &tradition, Gubi, Cassina, BD Barcelona, Parachilna lamps and more. 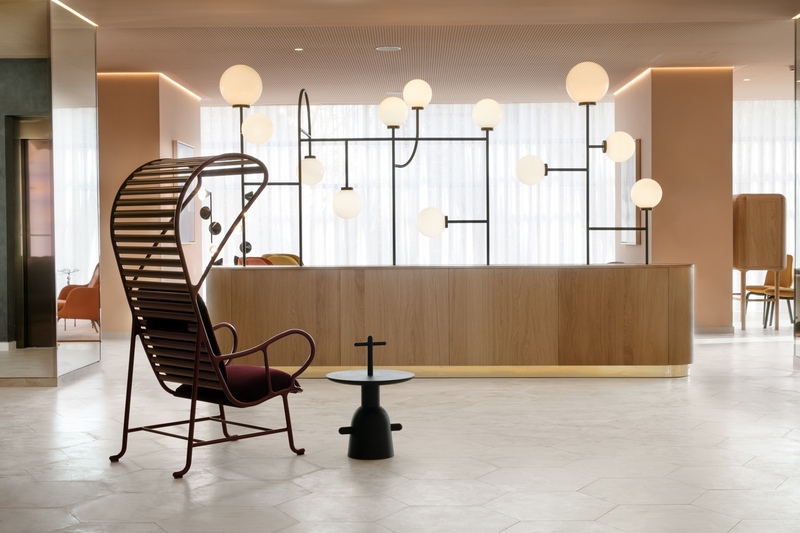 The reception area includes structural lights designed by Hayon for the hotel, Hayon’s Gardenias armchair for BD Barcelona and his Réaction Poétique side table for Cassina. 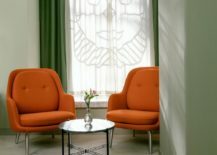 Here, the hotel’s reception area includes Hayon’s Fri easy chair for Fritz Hansen and a portrait by Klunderbie. 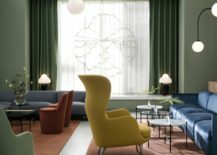 The VIP lounge includes Hayon’s Sammen chairs and Analog table for Fritz Hansen. The portrait is by Klunderbie. 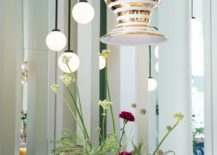 The Somos restaurant includes Hayon’s Sammen chairs for Fritz Hansen and specially designed hanging lights and tables by Hayon. 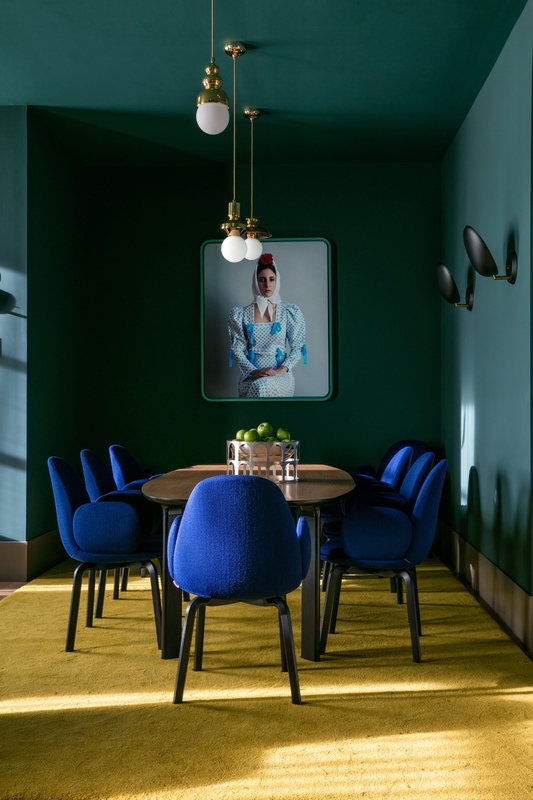 The hotel’s standard room includes a specially designed Face mirror by Hayon, the Fri armchair for Fritz Hansen and the Monkey Table for BD Barcelona. 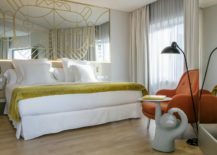 A likely home for Madrid’s fashionistas, creatives and visitors alike, the Hotel Barceló Torre De Madrid represents imagination, artistry and a touch of pizzazz. 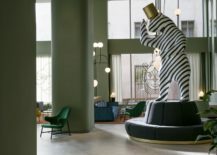 The lobby’s enormous zebra-striped, hat-tipping bear sets the tone, this joyful sculpture uniquely Hayon in its execution. 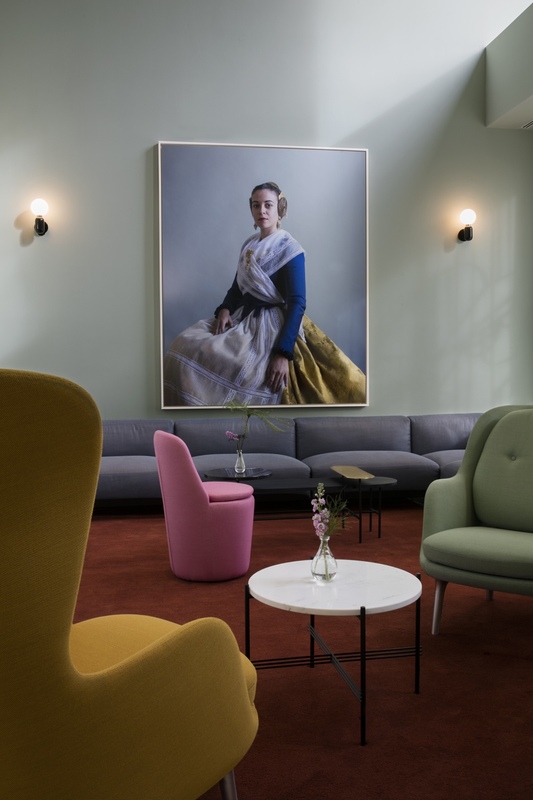 Bizarre and brilliant moments are littered throughout the hotel: as well as Hayon’s designs, photographic studio Klunderbie display the richness and diversity of Spanish culture in artworks that include the bullfighter and the flamenco dress. 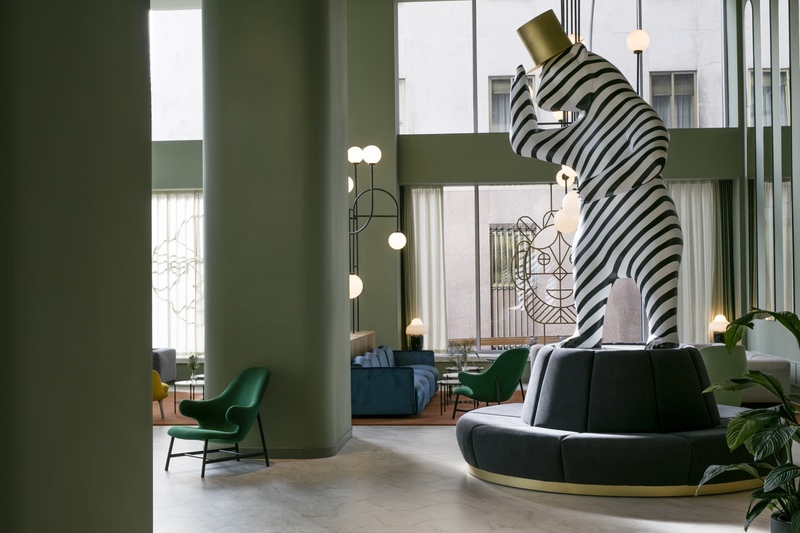 The lobby’s Bear sculpture, Face sculpture and structural lights are special designs by Hayon for the hotel. 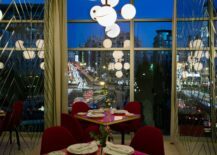 Hayon’s designs include the Catch lounge chair for &tradition and Chinoz lamps for Parachilna. 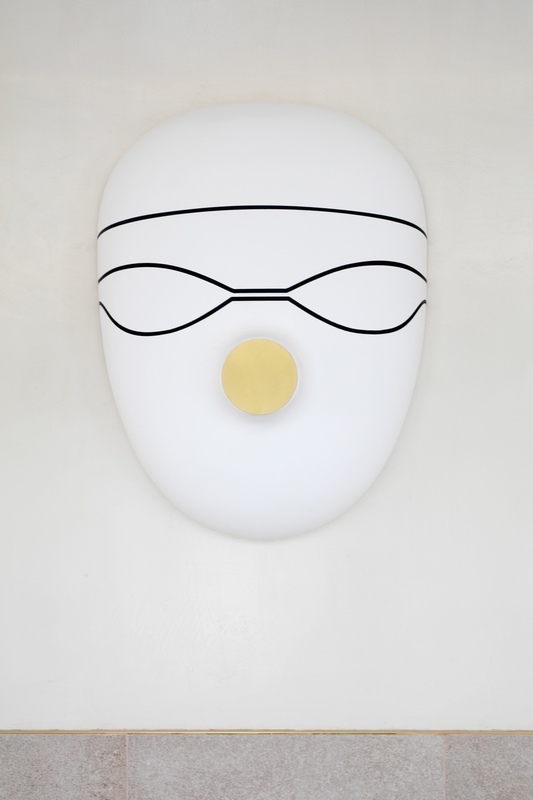 In the hotel’s wellness area, this Swimmer’s mask is a special design by Hayon. 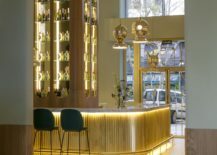 At the Hotel Barceló Torre De Madrid, ingenuity is the order of the day, and Hayon has served up a dazzling and beautifully crafted tour de force. 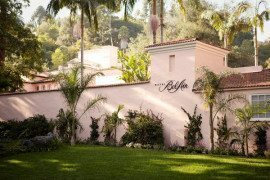 All photos by KlunderBie via Hayon Studio.